I have a large bottle of pour-on Ivomec that expired 12/18. Is there any reason I shouldn't use this? No. Use it up. When a drug or a pour on reach the expiration date, it doesn't mean that they will quit working. It means that the product may not work 100% of what it will work when newer. I would feel perfectly comfortable using it. I would use it with one consideration. How was it stored? If it was exposed to extreme temperatures, for example, in an outside building where temperatures can reach subzero or about a 100 degrees, organic compounds can breakdown! drugs are required to have an expiration date, whether or not they actually ever expire... ivermectin is a pretty simple compound, I'd use it without thinking twice. Vaccines are the only thing I pay attention to the expiration date on. 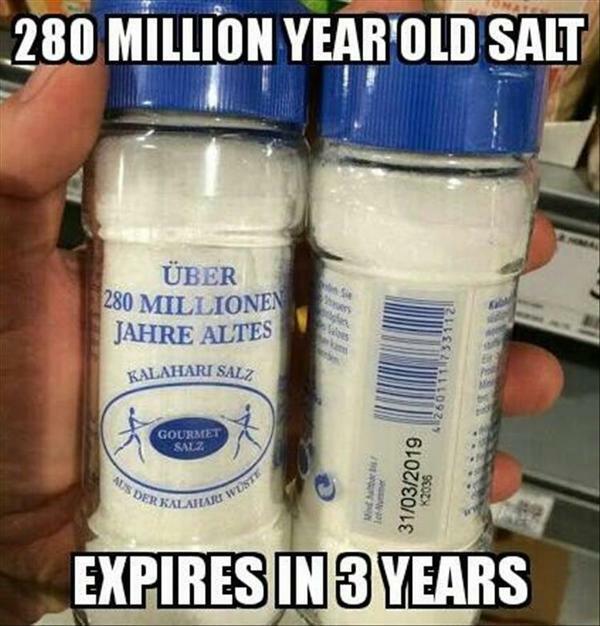 I think this gets the point across.. well, I guess it's expired by a couple weeks now.